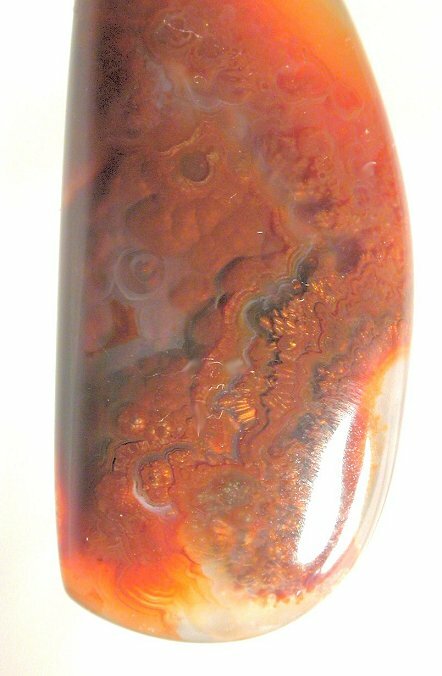 , carved, sculpted Fire Agates, jewelry stones, custom Fire Agate, jewelry fire agate, Shamanic fire agate, Deer Creek, Slaughter, Mountain, Arizona, New Mexico, Mexico. 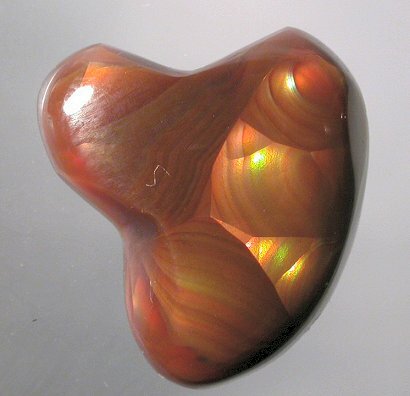 Fire Agate info resource: Fire agate is a type of chalcedony or crytocrystalline quartz. 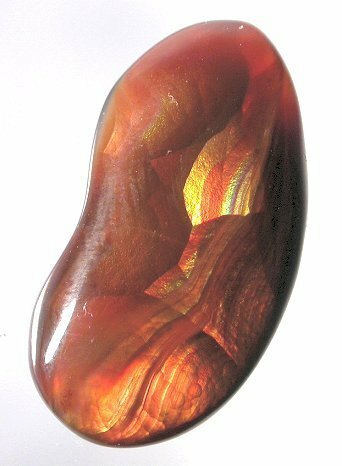 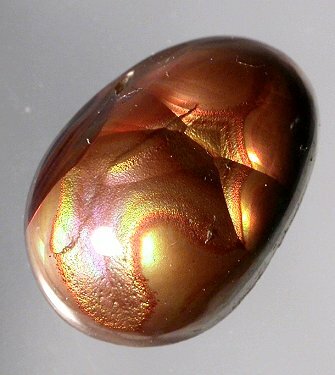 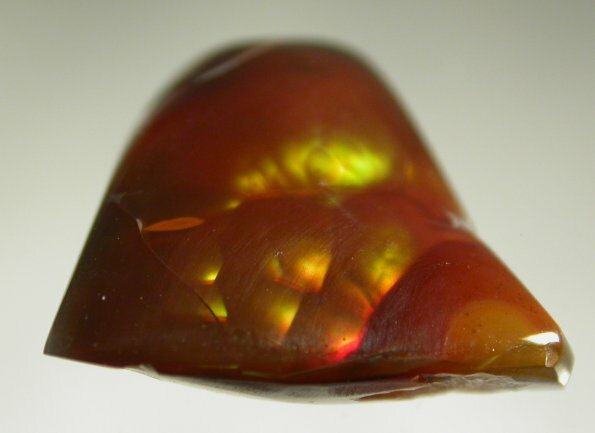 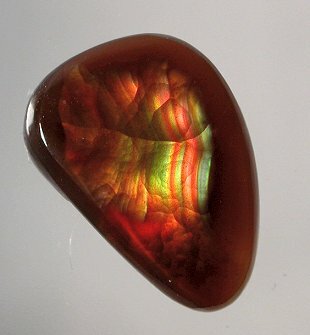 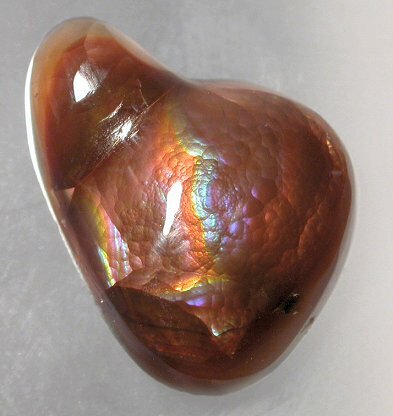 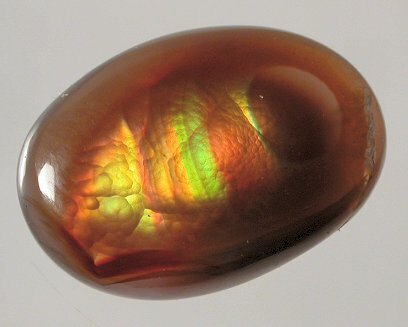 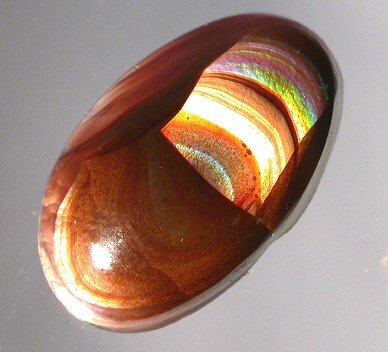 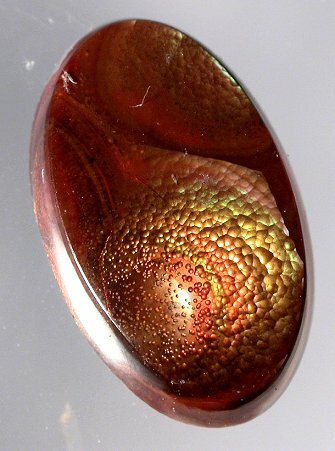 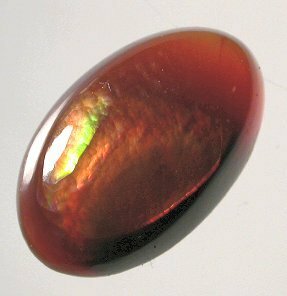 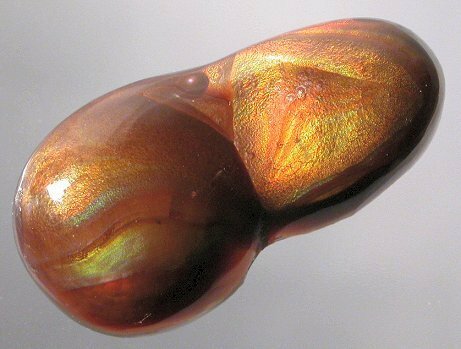 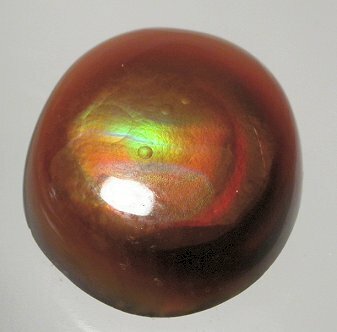 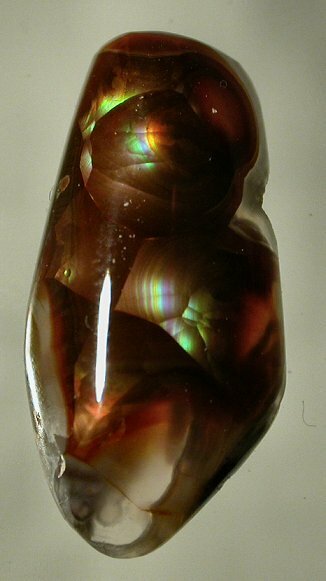 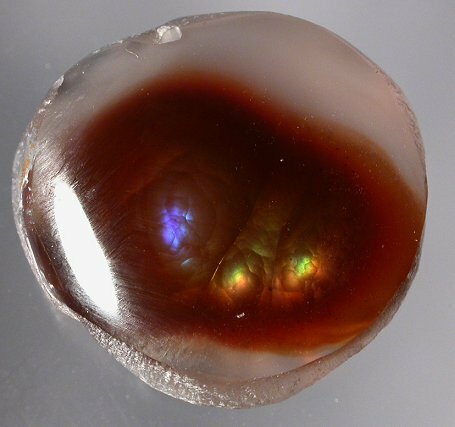 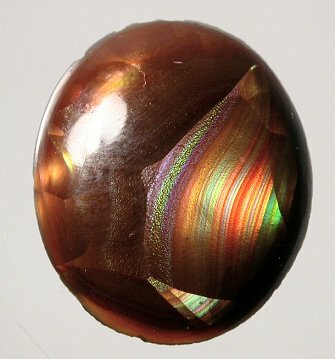 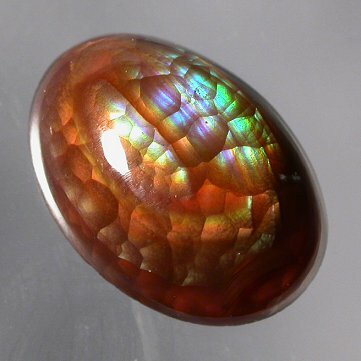 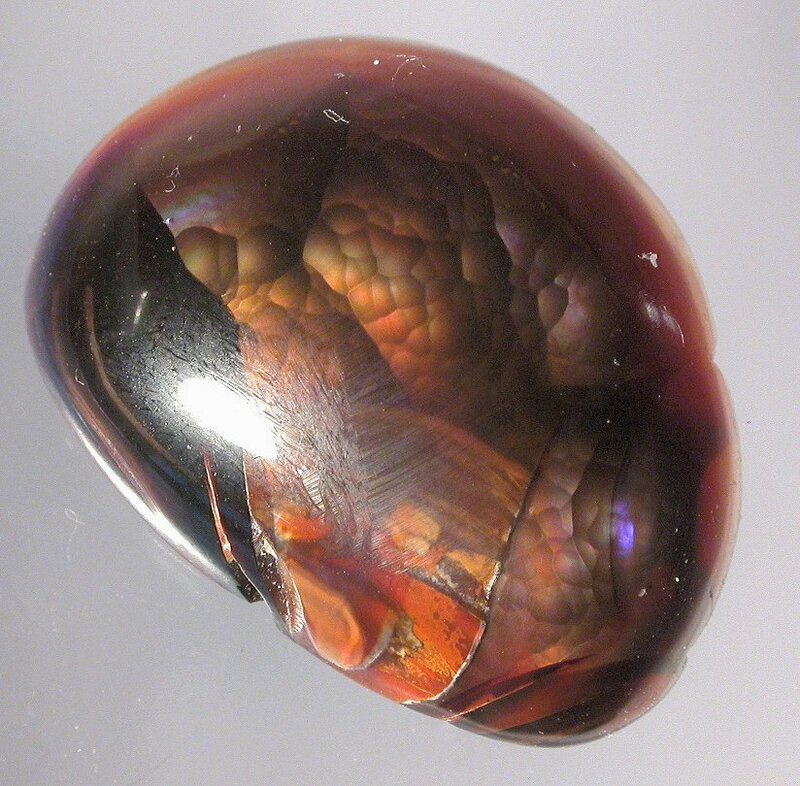 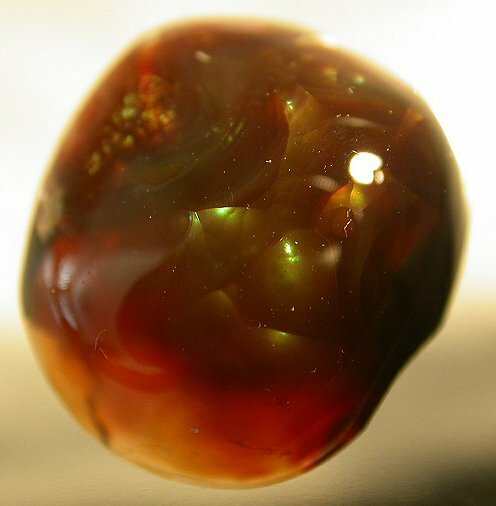 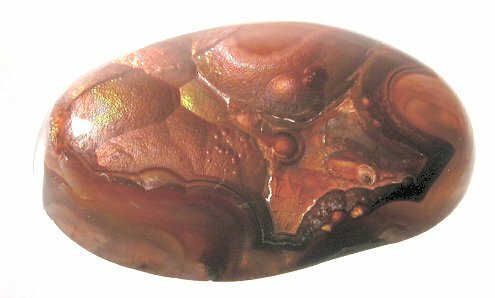 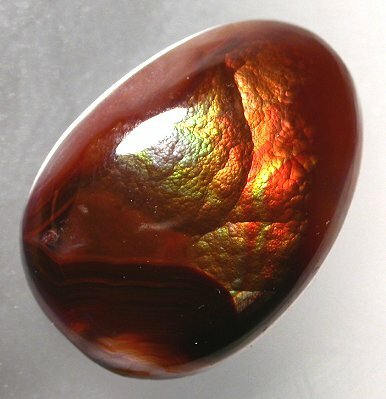 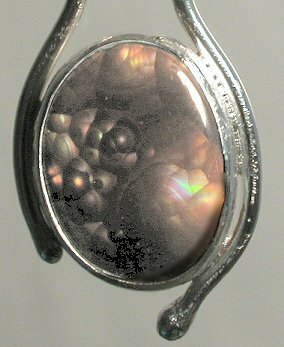 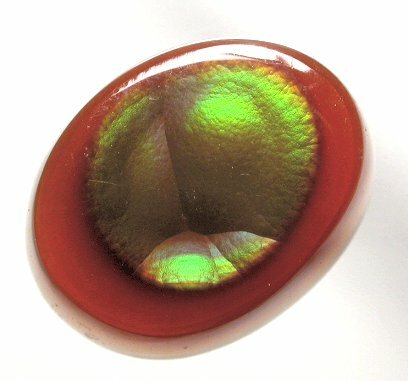 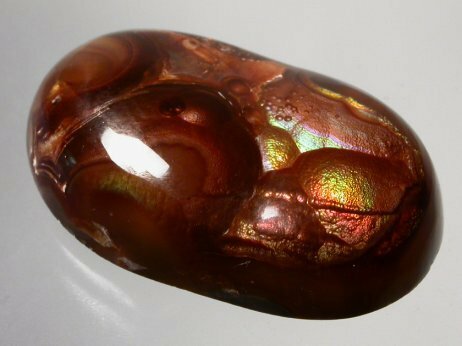 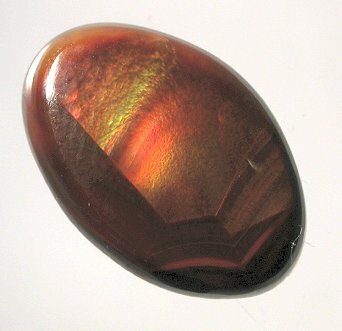 Fire agate is prized for its iridescent rainbows of color that have a glow arisign from deep within the stone. 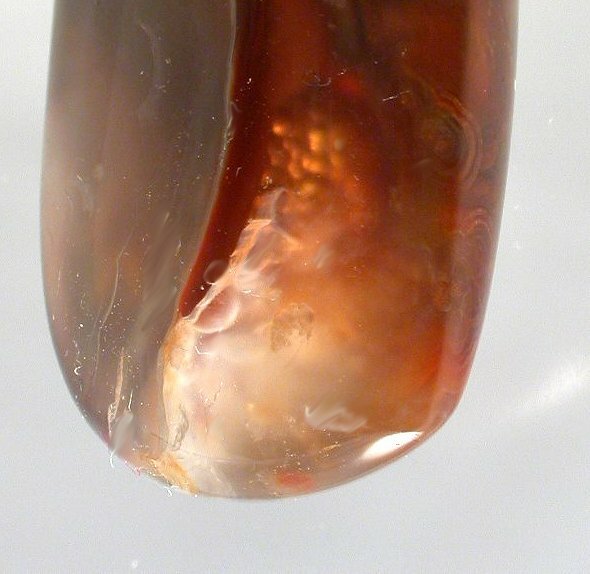 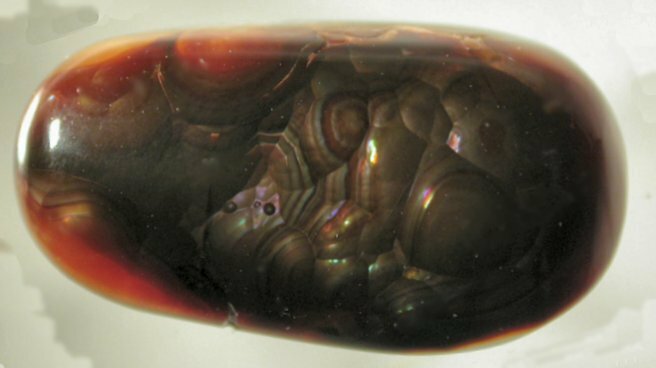 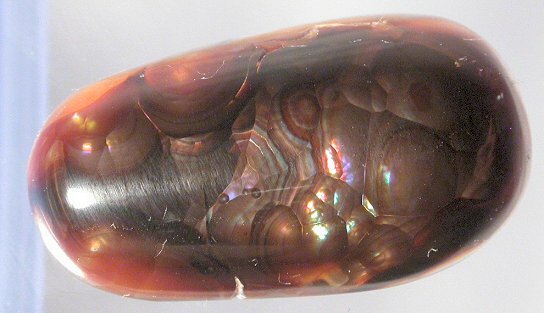 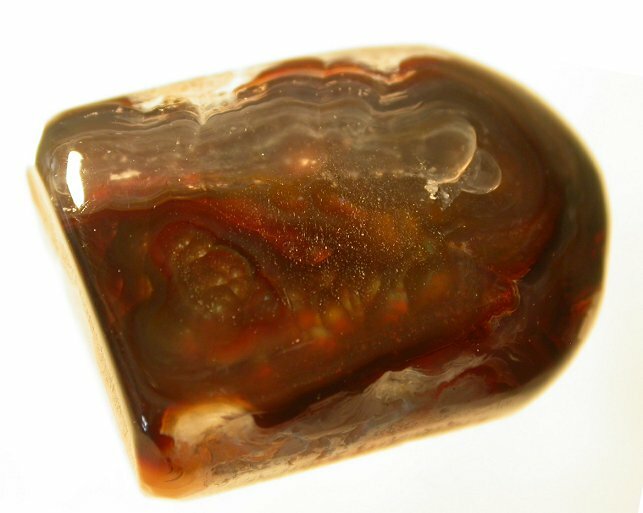 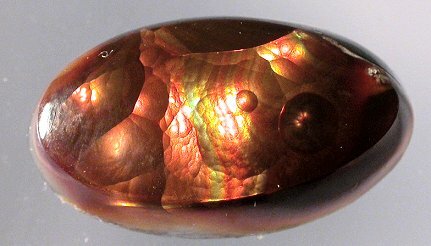 It is believed that fire agate forms in layers when hot water containing colloidal silica and iron oxide seeps into rock seams, and then cools. 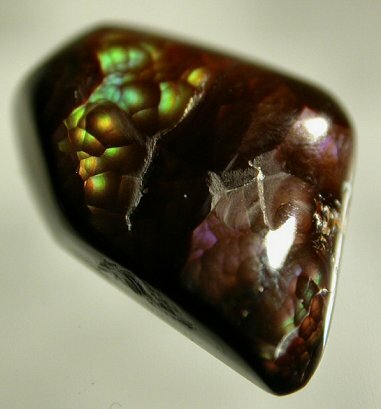 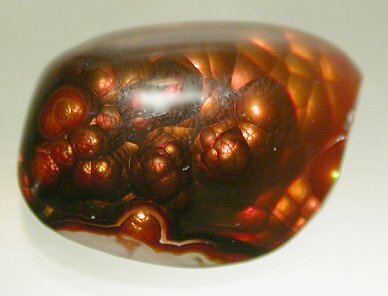 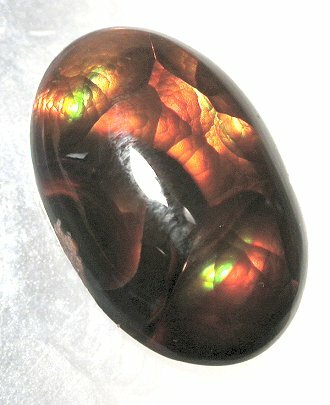 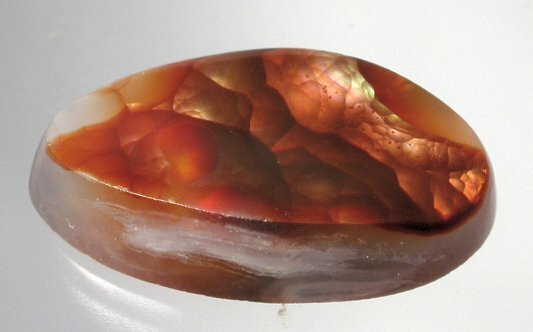 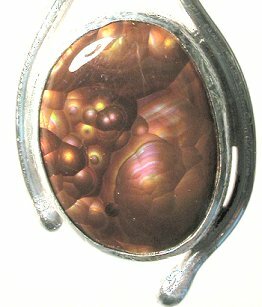 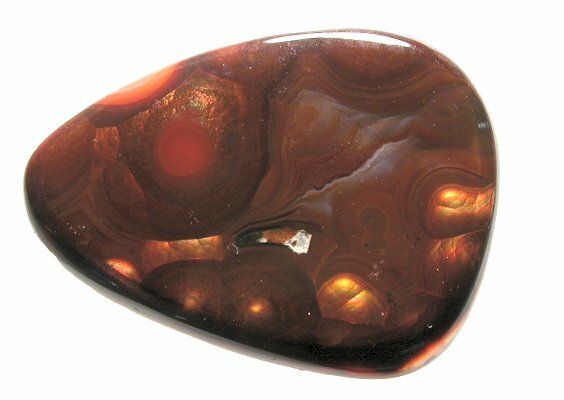 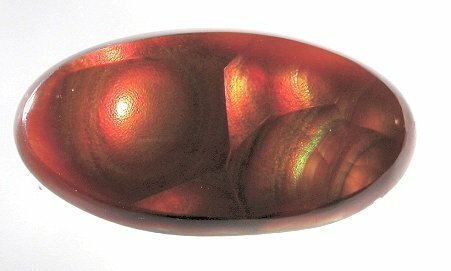 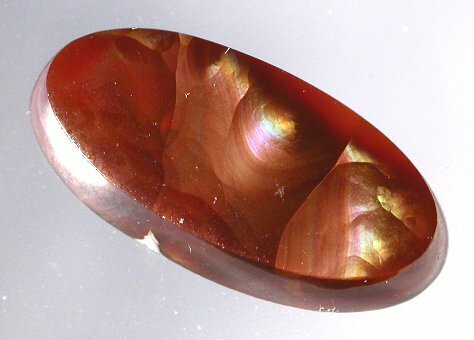 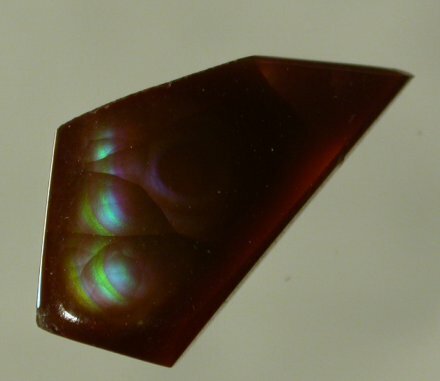 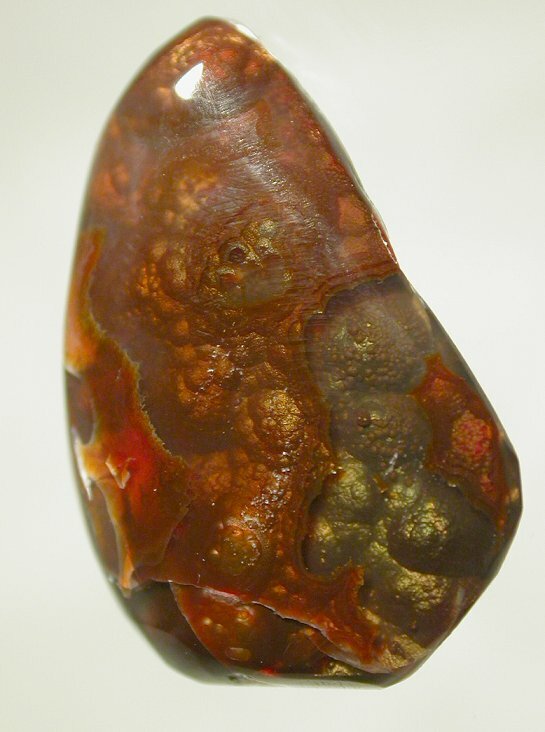 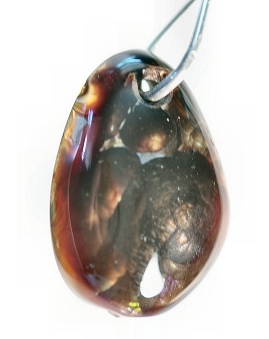 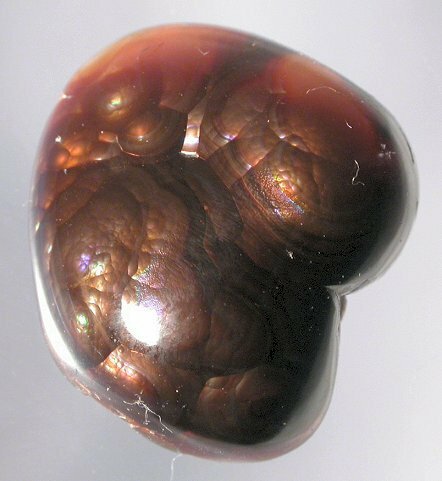 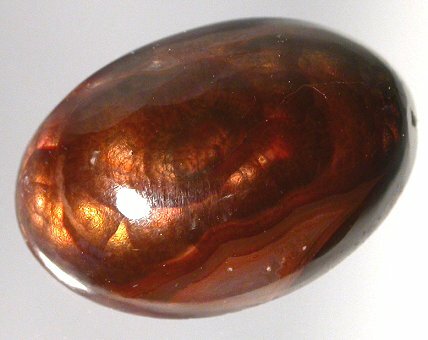 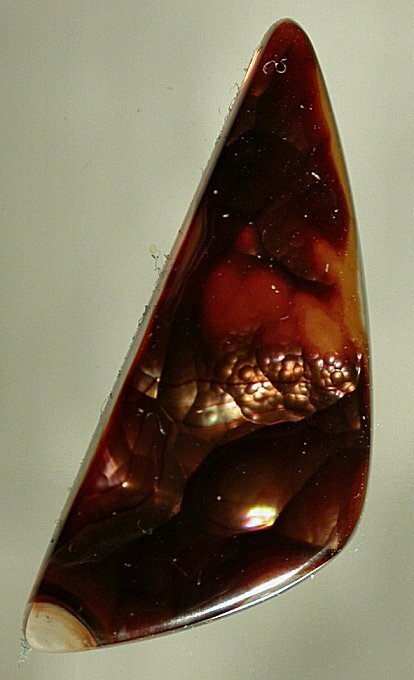 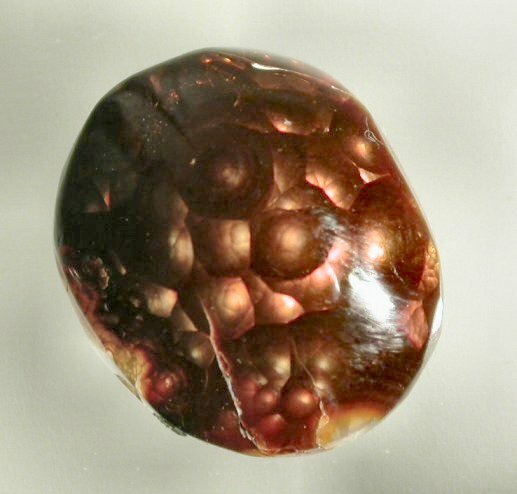 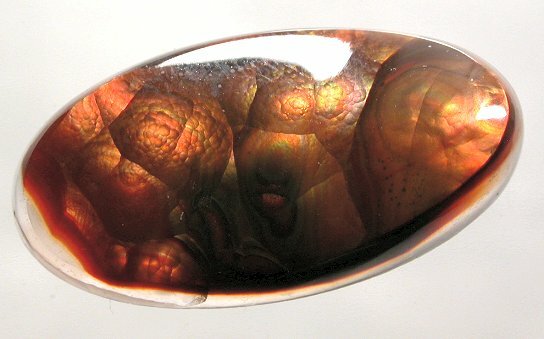 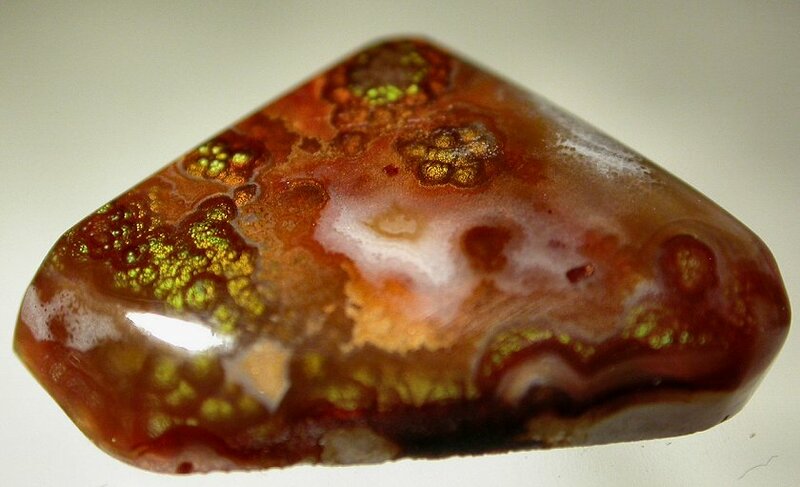 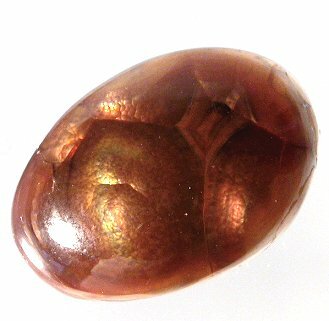 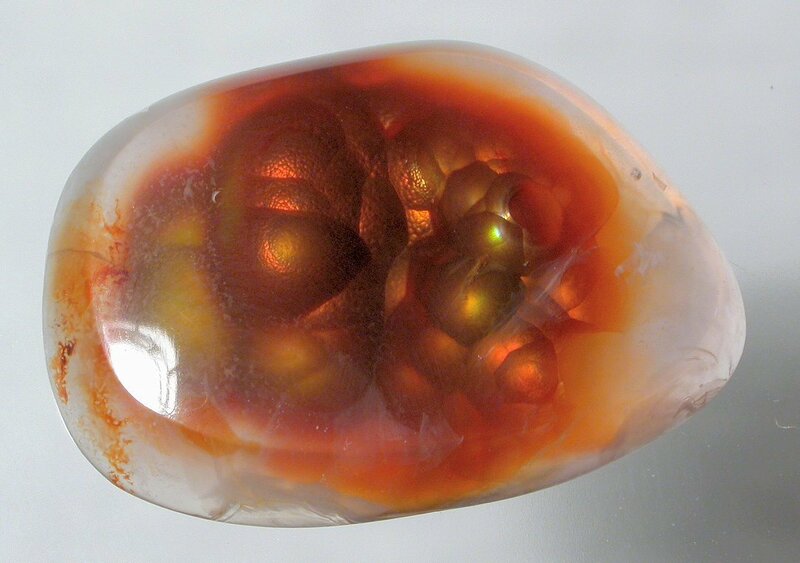 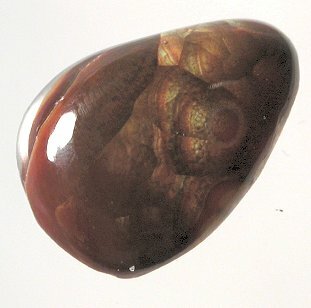 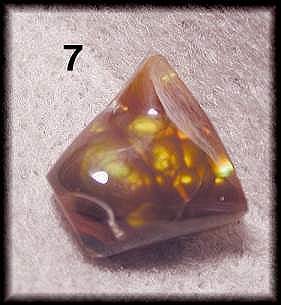 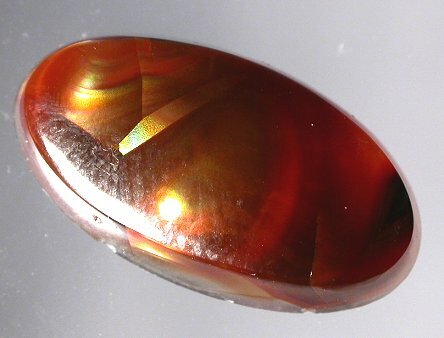 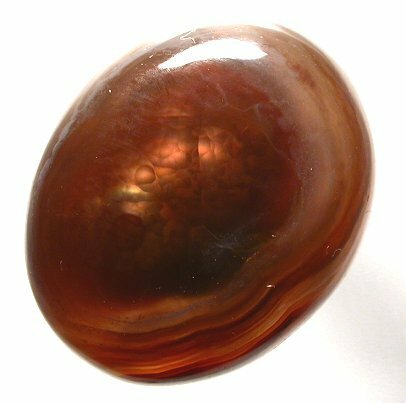 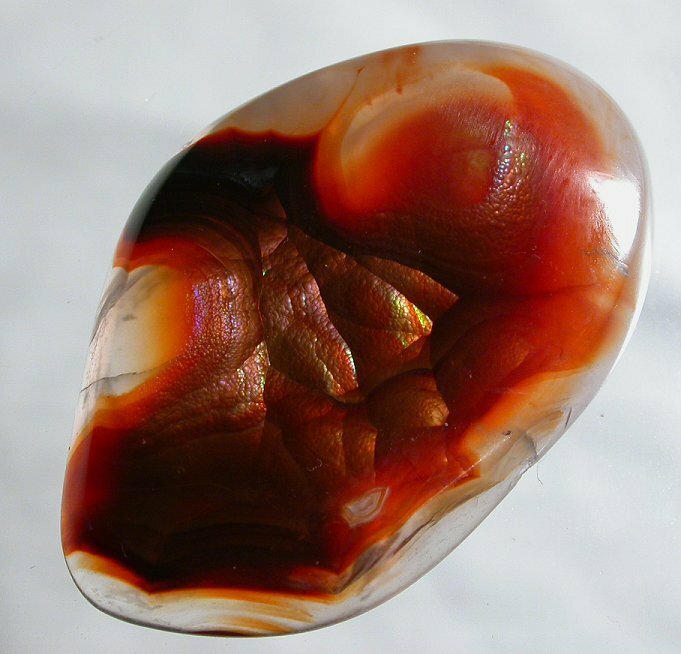 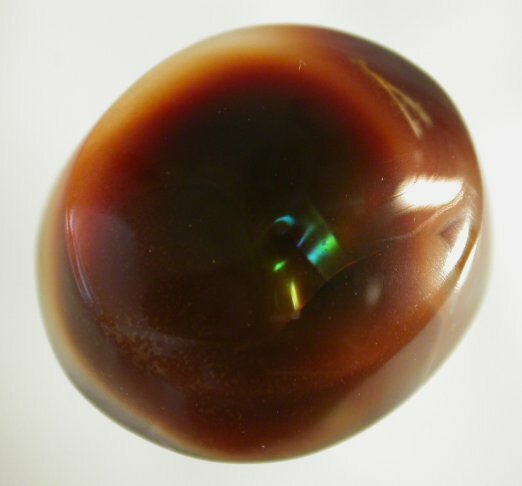 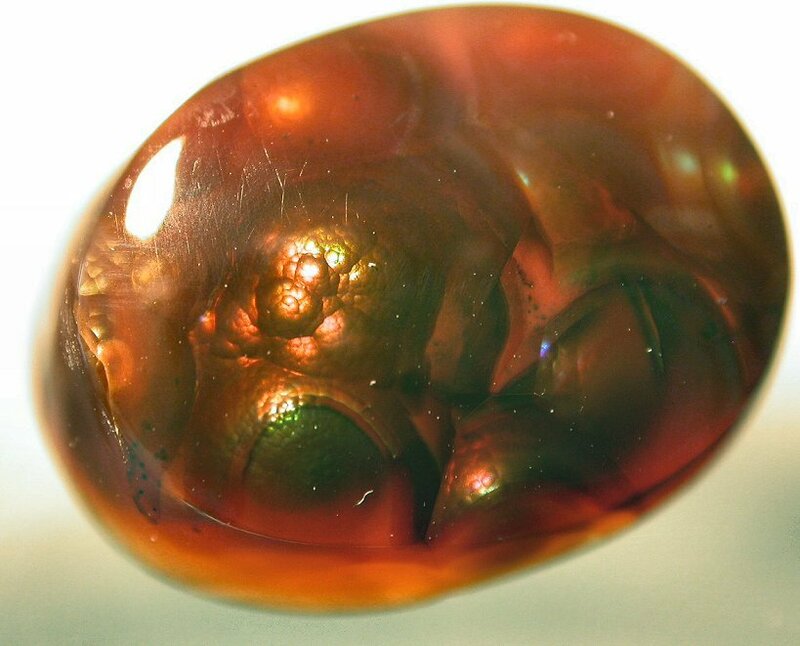 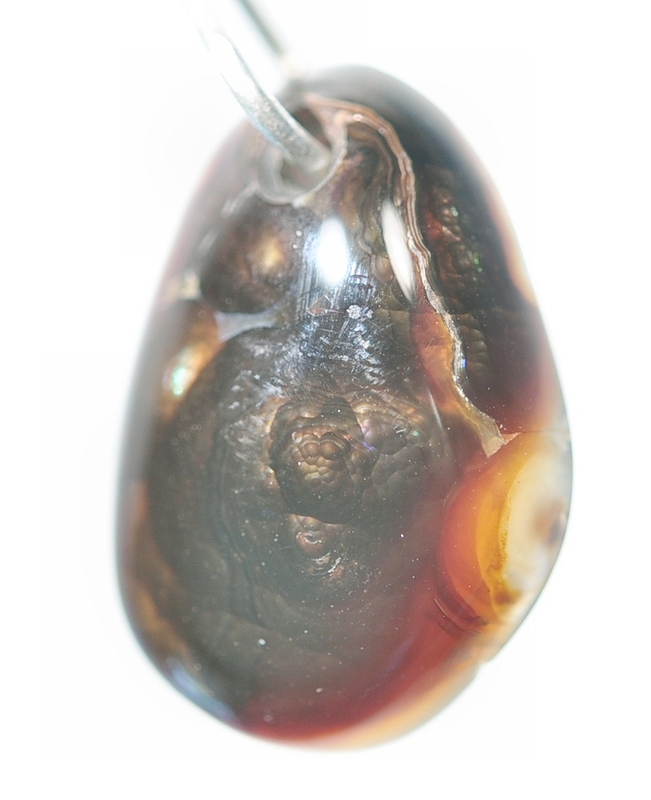 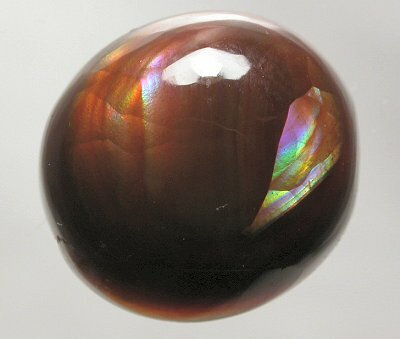 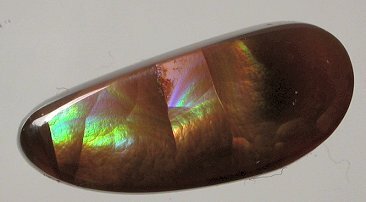 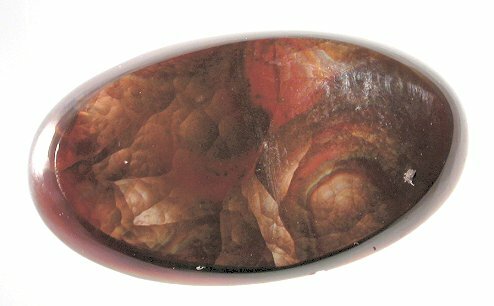 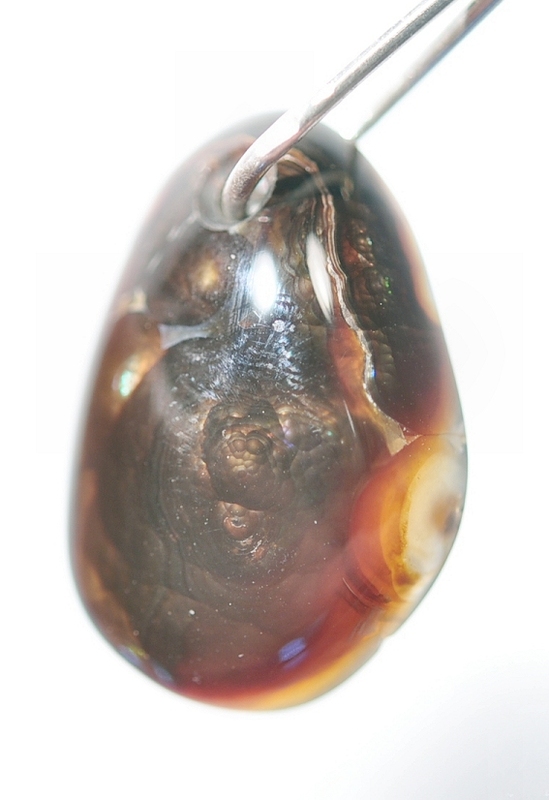 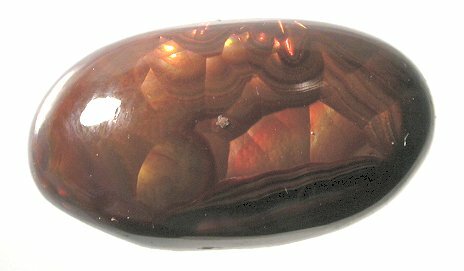 The iron oxide gives fire agate its unique, firey quality of opals with much greated hardness and strength. 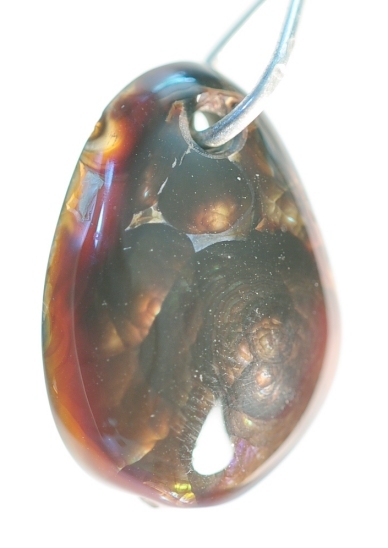 While holding or wearing fire agate one may sense a deep sense of calming energy with security and safety. 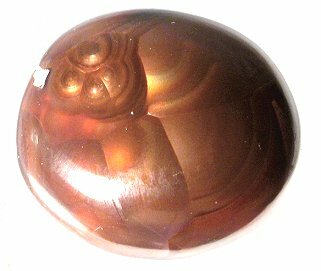 It offers protection and strong grounding energetics. 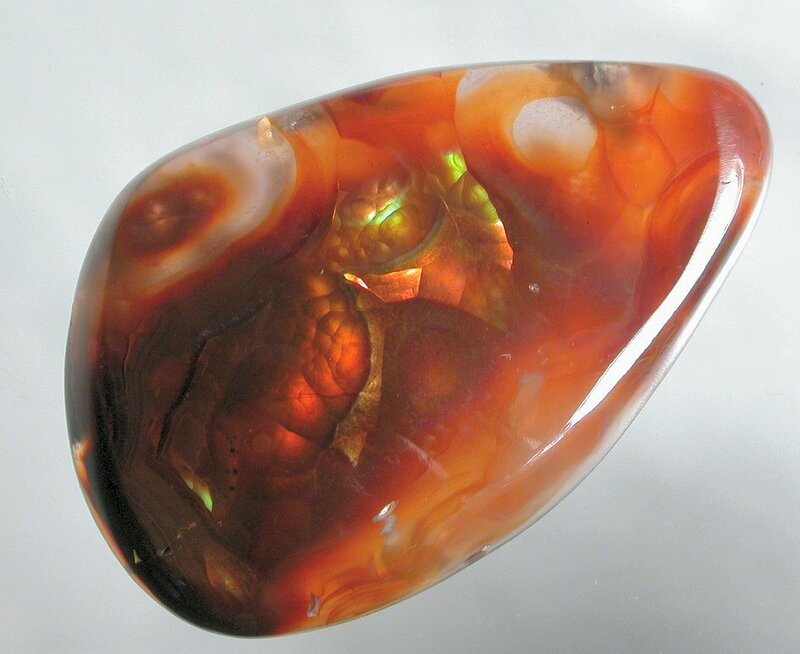 Fire agate instills spiritual fortitude holding space for inner knowledge to emerge in the resolution of problems. 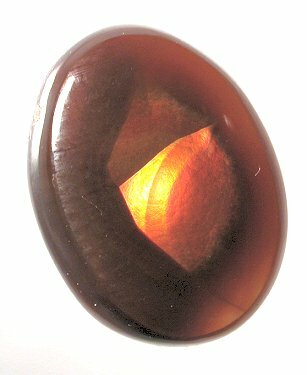 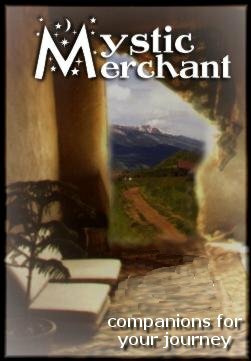 It may help in overcoming addictions and other destructive desires. 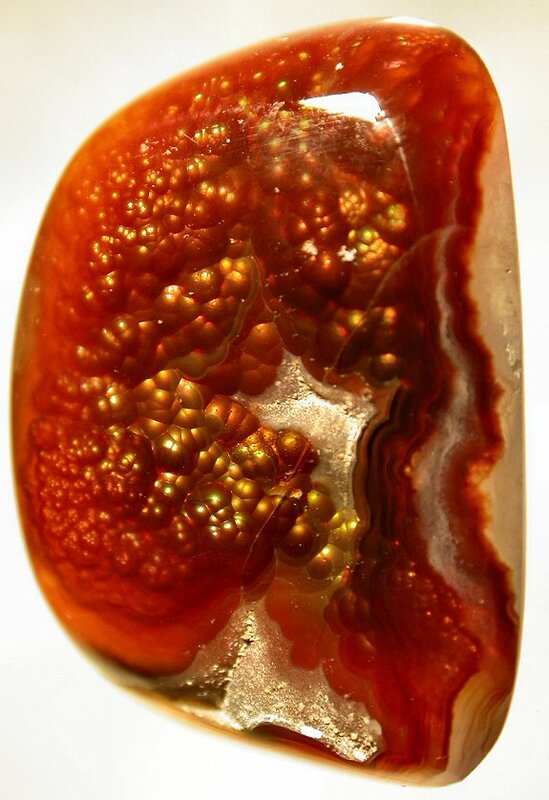 Fire agate is linked with fire elements and can be used to improve sexual activity while stimulating vitality and opening the root chakra. 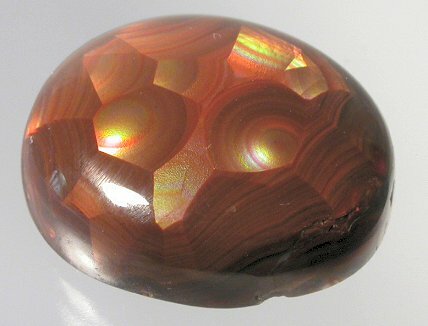 Only the most unique gem stones & crystals of the world. 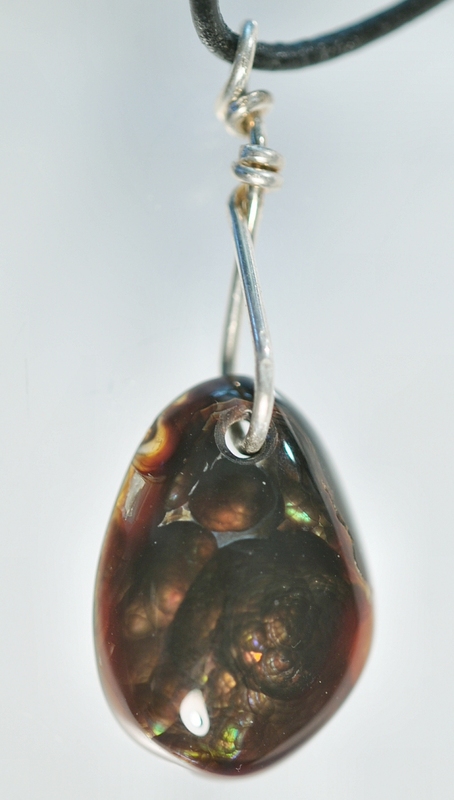 All stones can be custom set in Gold or Sterling Silver jewelry. 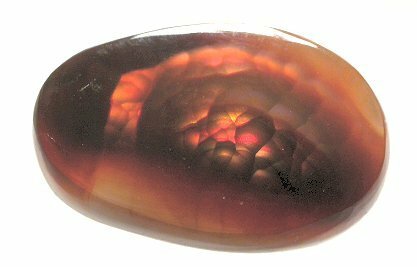 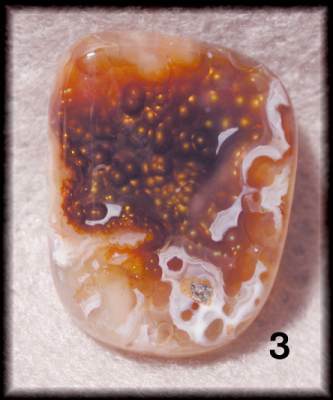 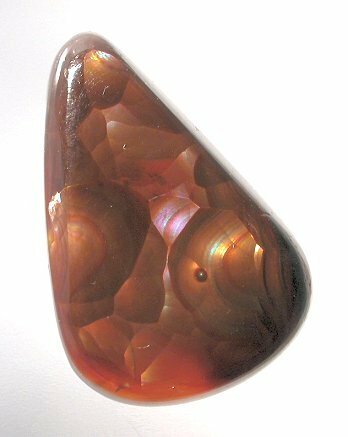 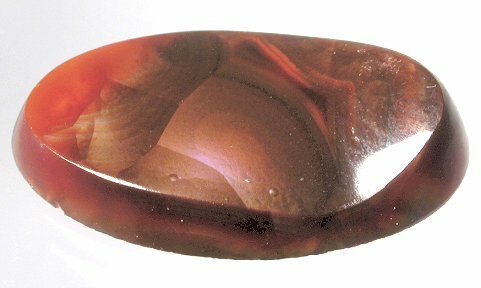 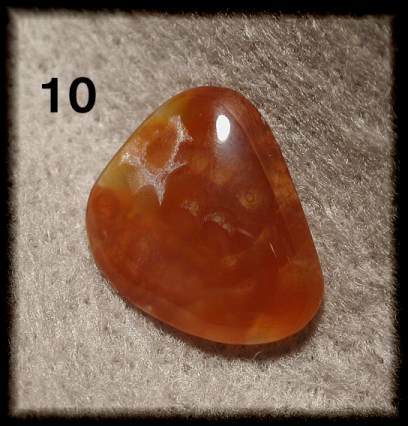 Fire Agates salas,info and resources. 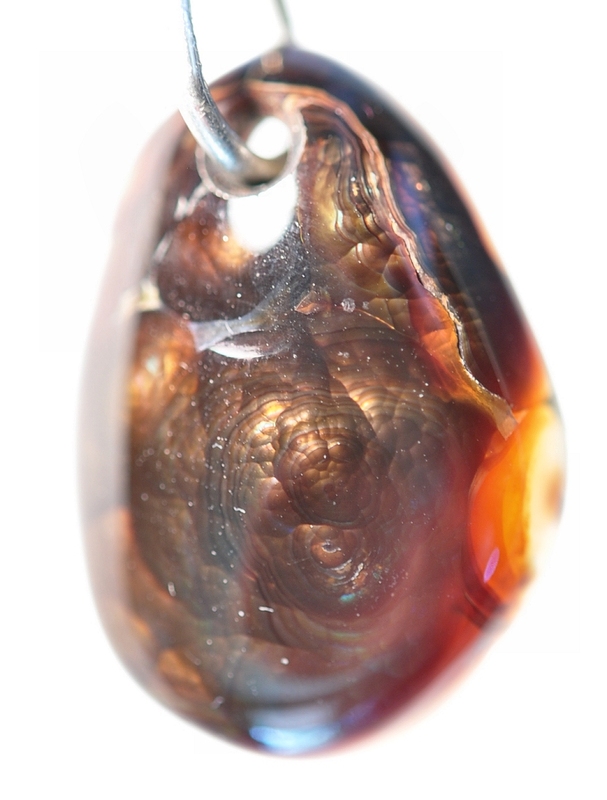 Lots of new Fire Agates.